Founding Director, Founder Central initiative at USC, Lemann Chair in Entrepreneurship, & author of the bestseller The Founder’s Dilemmas & Life Is a Startup. Dr. Wasserman examines the early decisions that have important long-term consequences for founders, investors, board members, and their startups. Potential consequences include the founders’ losing control of their ventures, the breaking up of the founding team due to tensions between founders, and the jeopardizing of the financial gains from high-potential ventures. To inform the discussion, he taps his dataset on 20,000 founders that he has collected annually since 2000 and the in-depth case studies he has personally written on more than three dozen founders and founding teams. The goal of this highly interactive talk is to help the people who build startups be much more informed about the long-term consequences of their decisions before they make the early choices that can lead to them. In this interactive talk, Dr. Wasserman delves into the critical inflection point of transitioning a startup from its founder-CEO to a successor: What leads to its happening, what are the typical approaches that make the transition a risky and rocky one, what are best practices that should be used instead, and what should happen for founder and successor after the transition. How do founders’ early decisions increase the chances that they will have to go through such a transition, how can board members and investors tell whether the founder will resist it, and how should successors engage the founder after the replacement? How does succession affect whether and how the startup will grow and scale? Dr. Wasserman applies to everyday life his research on the counter-intuitive approaches of successful startup founders. He offers important lessons for those envisioning a change in their lives—from contemplating the next step in a relationship to making a substantial career move—and managing changes to which they've already committed. Dr. Wasserman goes deeply into the entrepreneurial mindset tp show how startups provide specific lessons for crafting our most successful lives. He highlights the challenges of life and taps founding practices to show us solutions. Dr. Noam Wasserman is founding director of the Founder Central initiative at the University of Southern California and the Lemann Chair in Entrepreneurship. 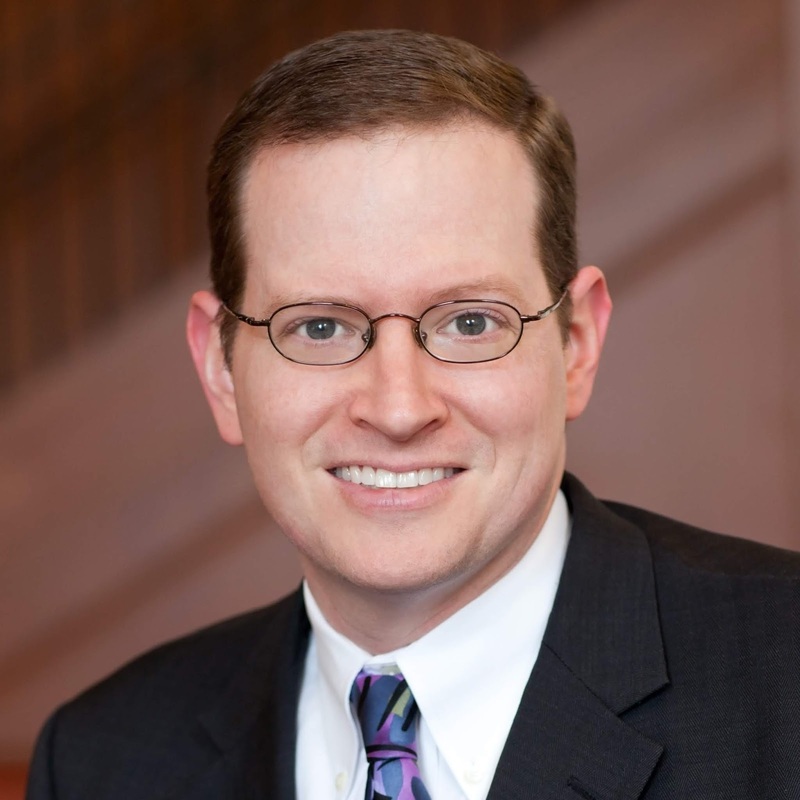 He has been announced as the new Dean of the Sy Syms School of Business at Yeshiva University. Before returning home to L.A., he was a professor at Harvard Business School for 13 years. 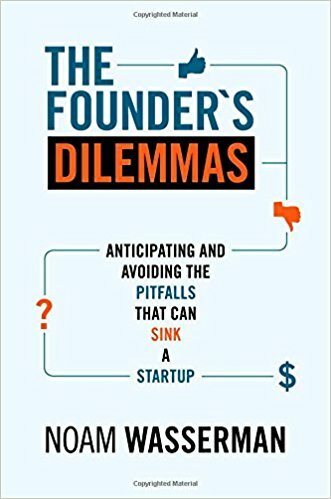 His book, The Founder’s Dilemmas: Anticipating and Avoiding the Pitfalls That Can Sink a Startup, was an Amazon #1 bestseller in Management, has spent more than half a decade on Amazon’s Strategy bestseller list, and won the Academy of Management’s annual Impact on Practice award. Dr. Wasserman created HBS’s most popular entrepreneurship elective, “Founder’s Dilemmas,” for which he won HBS’s Faculty Teaching award, USC’s Golden Apple teaching award, and the Academy of Management’s Innovation in Entrepreneurship Pedagogy award. He also taught the course at Stanford Engineering and Columbia Business School, and received perfect teaching ratings at both schools. 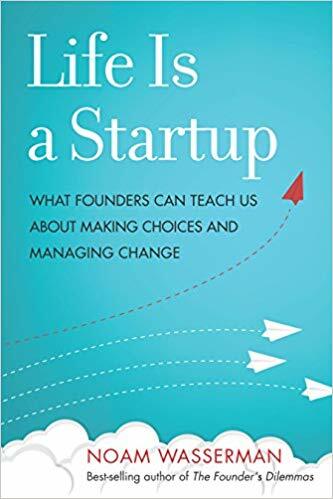 Dr. Wasserman’s second book is Life is a Startup: What Founders Can Teach Us about Making Choices and Managing Change (Stanford University Press, Fall 2018). Dr. Wasserman’s research has been published in top academic journals (e.g., Management Science, Strategic Management Journal, Academy of Management Journal, Organization Science) and national periodicals (Wall Street Journal, New York Times, Inc. magazine, etc.). He is a founding board member of USC’s Institute for Outlier Research in Business (iORB), chairs the committee that judges the annual Innovation in Entrepreneurship Pedagogy Award for the Academy of Management, and serves on the advisory boards of Inc. magazine and the Kauffman Foundation. Dr. Wasserman received a PhD from Harvard University, an MBA from Harvard Business School (graduating with high distinction as a Baker Scholar), a BSE in Computer Science and Engineering from the University of Pennsylvania, and a BS from the Wharton School of the University of Pennsylvania. He has eight children and two grandchildren. Noam examines the early decisions that have important long-term consequences for founders, investors, board members, and their startups. Potential consequences include the founders’ losing control of their ventures, the breaking up of the founding team due to tensions between founders, and the jeopardizing of the financial gains from high-potential ventures. To inform the discussion, he taps his dataset on 20,000 founders that he has collected annually since 2000 and the in-depth case studies he has personally written on more than three dozen founders and founding teams. The goal of this highly interactive talk is to help the people who build startups be much more informed about the long-term consequences of their decisions before they make the early choices that can lead to them. In this interactive talk, Noam delves into the critical inflection point of transitioning a startup from its founder-CEO to a successor: What leads to its happening, what are the typical approaches that make the transition a risky and rocky one, what are best practices that should be used instead, and what should happen for founder and successor after the transition. How do founders’ early decisions increase the chances that they will have to go through such a transition, how can board members and investors tell whether the founder will resist it, and how should successors engage the founder after the replacement? How does succession affect whether and how the startup will grow and scale? Noam applies to everyday life his research on the counter-intuitive approaches of successful startup founders. He offers important lessons for those envisioning a change in their lives—from contemplating the next step in a relationship to making a substantial career move—and managing changes to which they've already committed. Noam goes deeply into the entrepreneurial mindset and show how startups provide specific lessons for crafting our most successful lives. He highlights the challenges of life and taps founding practices to show us solutions. Dr. Noam Wasserman is founding director of the Founder Central initiative at the University of Southern California and the Lemann Chair in Entrepreneurship.